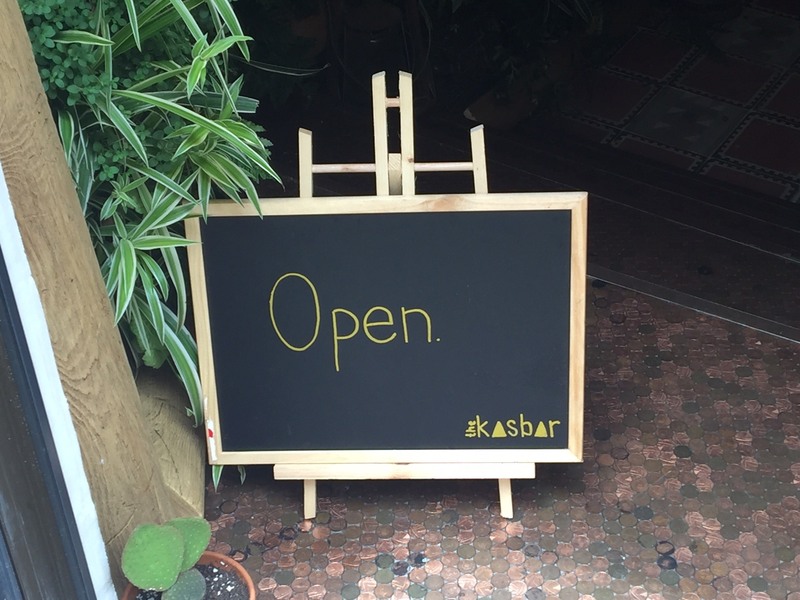 In the old Hole in the Wall on Castle Street, we are finally treated to the long awaited The Kasbar. On paper, this concept should not have worked. 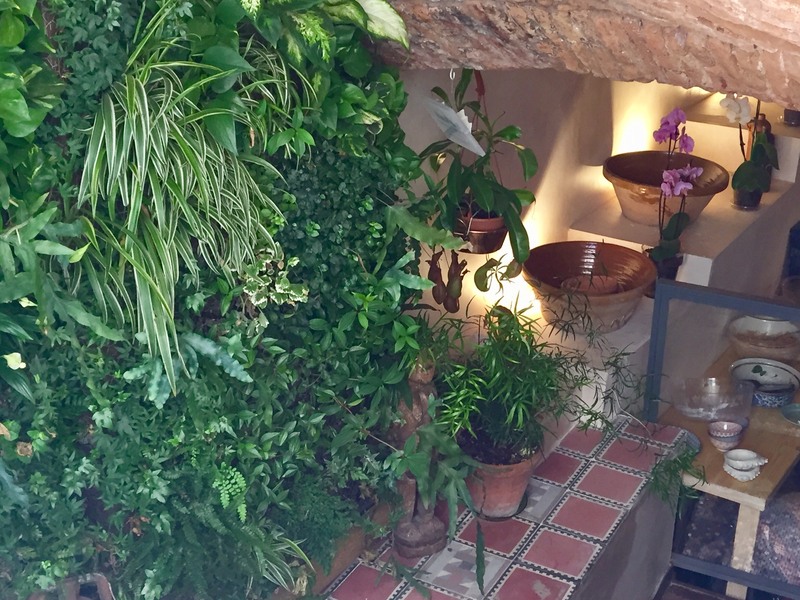 But as the owners started transforming the place with its penny steps, Afro-Moroccan knick-knacks, acquired furniture that doesn’t match and its green wall of live plants, it started becoming a trendy, bohemian, Tarifa-esque hang out people wanted to try out. Open from 12pm-6pm its main focus is the lunchtime crowd but I do recommend that you get in there early or wait until after the lunchtime rush as you might feel a little stressed if you’re restricted to a 1 hour lunch break. The four-person team look after you from the minute you arrive. Lisanka working furiously preparing each dish; Ronnie himself, the face of The Kasbar, can be seen flitting between tables, taking your order, serving your food and generally making sure you are comfortable. On arrival, I was encouraged by Ronnie to sit wherever I found a space as the place was busy. I opted for one of the low down tables towards the back. Looking around there were only five tables and two lower tables that could cater for approximately 20 people. I later noticed that around the bar area at the entrance, there were a few bar stools where a group of six people were sat eating up at the bar. Waiting for my lunch guest I hoped someone would ask if I wanted a drink whilst I waited or whether I’d like to have a look at their menu but I noticed that Ronnie was working the floor alone and rather busy at the time. As the menu changes depending on the produce that has been bought that day, it is presented on a large chalk-board. However, I felt this should have definitely been on a wall to ease viewing access or perhaps having more dotted around the place, as another diner was holding onto the menu whilst she was waiting for her order to be taken. When my lunch guest arrived, we were attended to and ordered a green smoothie each and our lunch dish. Ronnie asked us if we wanted a ‘House Water’ flavoured with mandarin and mint which I thought was a delicious combo. So we asked for a glass each of this too. As a meat eater, there is always that moment of hesitation where you think vegetarian food, let alone vegan food, won’t be substantial enough but the food was delicious, filling and a decent size for a lunchtime portion. 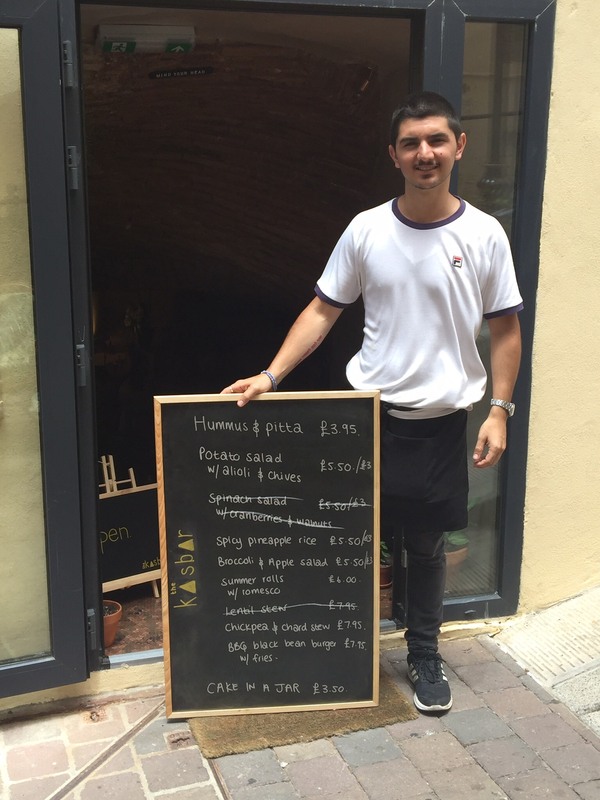 My lunch guest ordered the lentil stew which considering is a vegan version of a traditional Spanish stew usually flavoured with chorizo and tocino, I wondered how this would compare to every Gibraltarian Grandmothers’ version. 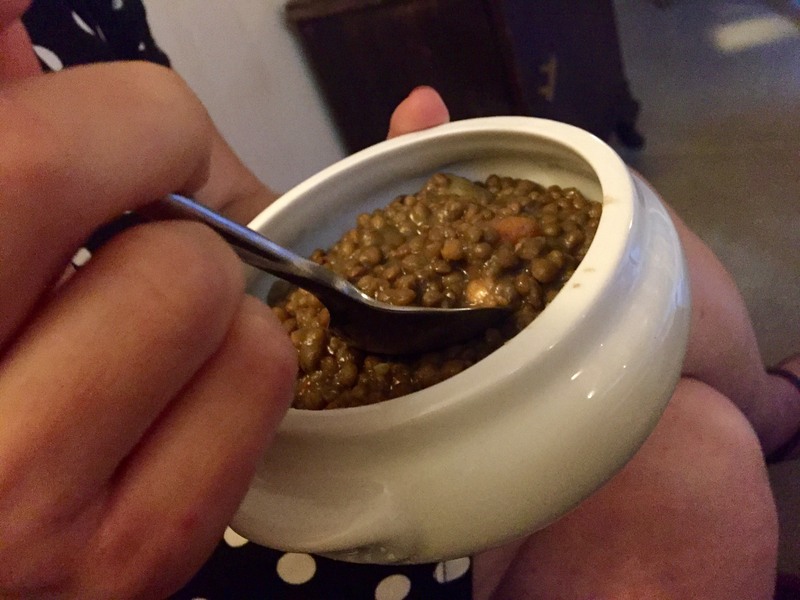 And I must say I was very pleasantly surprised – the lentils were cooked to the bite and flavoured with the scent of the souk with back notes of cumin though served as a very decent sized portion. 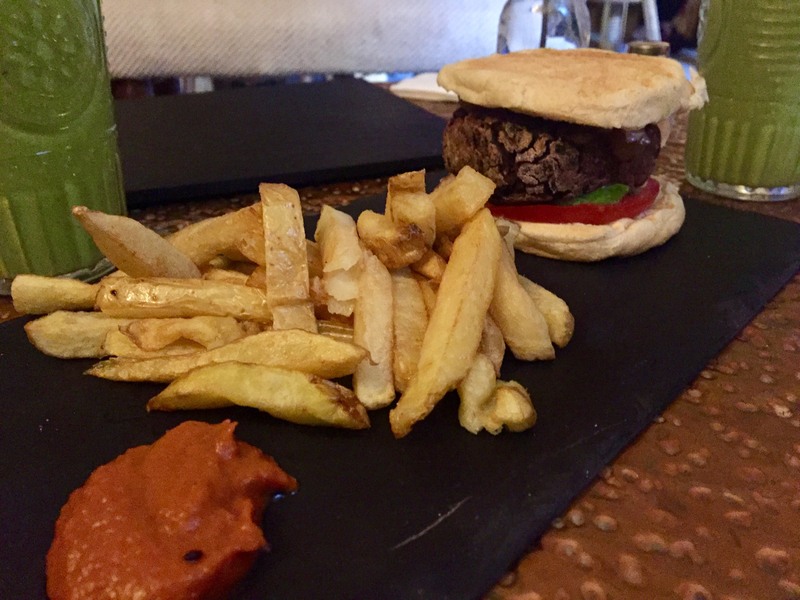 I was originally tempted to order the chickpea and chard stew (potaje de acelgas) but then whimsically ordered the BBQ black bean burger with fries. As my dish was put in front of me, the first thing I liked was that the fries were homemade, hand cut, fried chips and not mass produced frozen chips. The BBQ black bean burger itself had great texture, was tasty and surprisingly filling. Perhaps the burger does not need to be accompanied by fries? A small portion of the spicy pineapple rice, or broccoli and apple salad or spinach salad with cranberries and walnut, which all sound exquisite, may have been just as appropriate. My only comment with both the lentil stew and burger was that they could have both perhaps been served hotter but this is a just a slight criticism of food which was packed full of flavour, delicious and beautifully presented. I ended my meal with a green tea but felt this could have been brought over in a Moroccan teapot befitting of the name The Kasbar, adding to the feel and atmosphere of the place. In terms of service, things will only get better as their experience grows and they can work out systems to speed up their productivity. They’ll need to invest in a few more items to do this – extra smoothie jugs/machines and a dishwasher are only a couple of suggestions. Our food, water and smoothies all arrived within seconds of each other – maybe a simple table checklist could help establish a running order and spread this side of service; maybe the house water could be waiting for you at the table in small versions of the beautiful water bottle at the bar. A card machine is essential for payments as not everyone carries cash and the nearest cash point is quite a trek away; having said this, Ronnie did give me his bank details to pay using the app on my phone. The Kasbar is a beautiful haven hidden away from the rush of the city centre; the shaft of light pouring in through the window creating a sense of tranquility in its subterranean cavern. Ronnie, Lisanka and the gang should be commended for taking the brave step of opening a new restaurant which just so happens to serve vegan food. The decor is quirky and fun and there is a great sense of calm in the diffused-darkness of the room. I wish them every success and judging by the packed room and comments on Facebook and TripAdvisor they’ll have plenty of diners who will continue to enjoy the fruits The Kasbar has to offer. I’m excited to see it develop and mature over the next few weeks as it firmly establishes itself in the Gib restaurant scene. 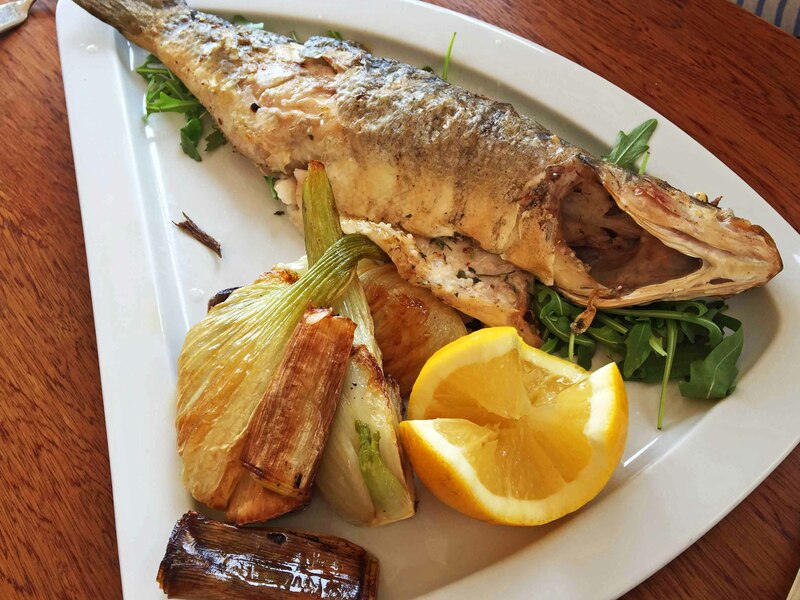 One of my top restaurants on the Rock, nestled away in idyllic Queensway Quay, is Rendezvous Chargrill; the perfect place to mark that special occasion or simply to enjoy a great meal in a picturesque and relaxed setting. Rendezvous Chargrill can be found on the premises of the old 14 on the Quay restaurant (or Claus on the Rock if you’re slightly older!) A lot of thought has gone into the transition this restaurant has had to make to transform it into Rendezvous Chargrill. Under the creative directorship of Daniel Breeze, it keeps true to the classy dining experience previously established by Daniel and Marianna Breeze at Le Bateau and the meatfest that was Ipanema; Rendezvous Chargrill successfully borrows from both. The restaurant is decorated with finesse and makes for a classy dining experience. The waiting staff is great, interacting with diners and forging relationships with regular clients, to the point of remembering personal preferences. Daniel is always on hand to help behind the bar or help during service. The menu reflects a rustic Mediterranean palate with something for everyone. There is a range of classic starters such as Gambas Pil Pil (£6.95), Homemade Port & Chicken Liver Pate (£5.95); French inspired dishes such as Classic Moules Marinieres (£7.95) Frogs Legs (£6.95) please try this is, it tastes like chicken! And Argentinean inspired starters such as Bertha Baked Provolone (£6.50) and Chorizo Criollo (£6.50). 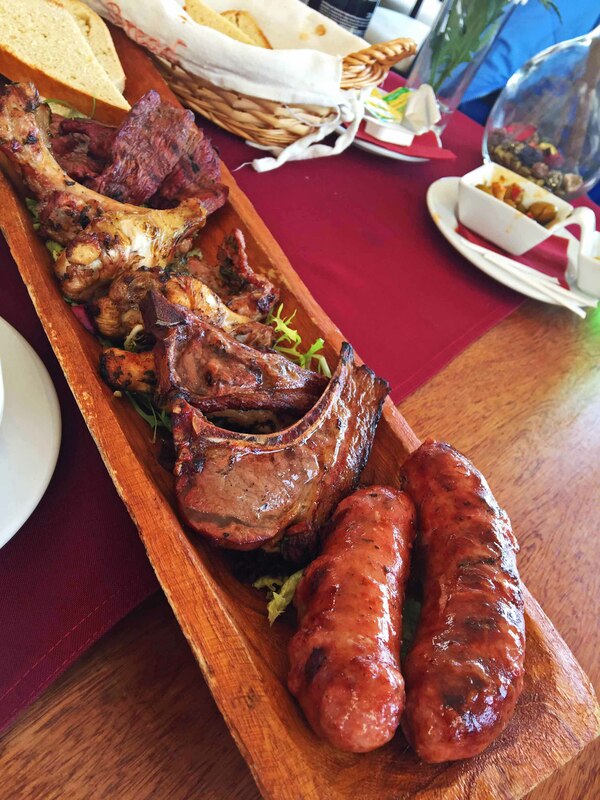 Their selection of long boards, designed to be shared as starters, also double up as great lunchtime treats for two, the Parrillada Long Board being my favourite – a selection of chargrilled meats served from the belly of Bertha, Rendezvous Chargrill’s charcoal oven. I had this for lunch the other day and it really would have been enough for three of us to eat comfortably with some chips on the side. There is a good selection of options to choose as your main meal – from vegetarian dishes, salads and pastas, to whole baked fish and Bertha inspired dishes such as Secreto Iberico (£16.95), Bertha Ribs (£14.95), Piri Piri Chicken (£13.95) and their Rendezvous Legacy: roast shoulder of lamb with roast veggies and potatoes (£29.95). I would recommend you pick anything from the belly of Bertha; the oak wood, lump wood and charcoal gives anything it flame-licks the most exciting of flavours. 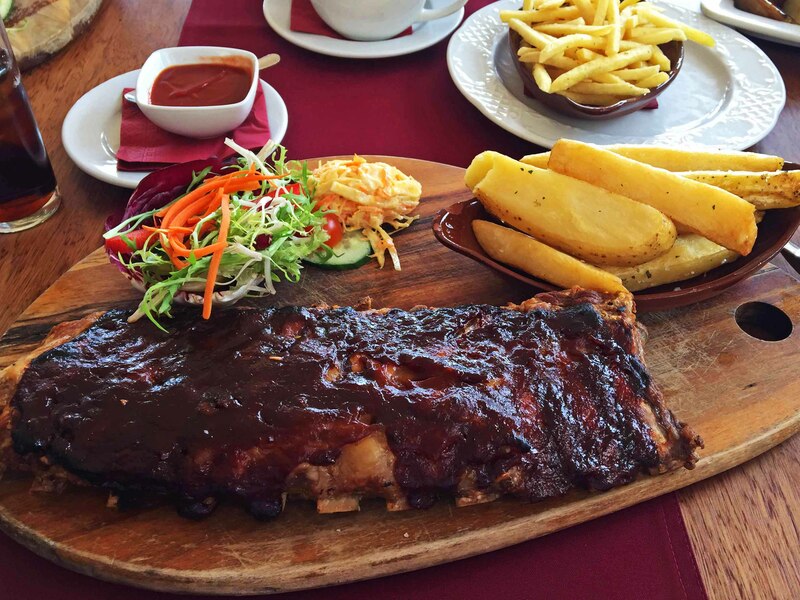 I personally thoroughly enjoy a good steak but the roast shoulder of lamb (Rendezvous Legacy) and Bertha’s Ribs come a very close second. I recently attended a Suckling Pig evening which I thought was a real treat. The flavours were incredible; the skin, smoke-kissed to perfection with plenty of meat to go round. A previous Carnivore Night was also met with wine-induced gusto! 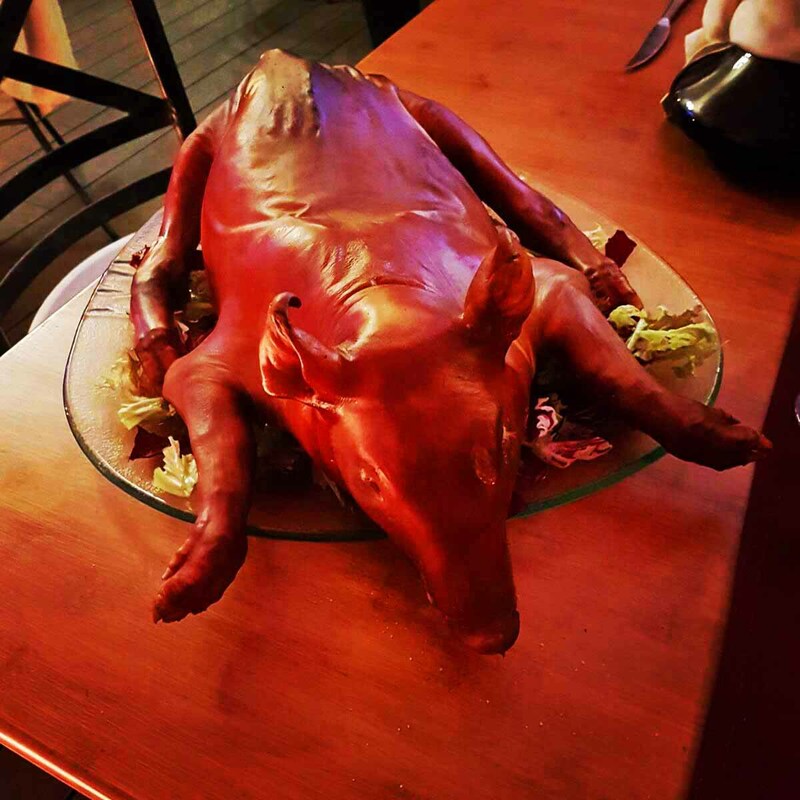 Please note you can order suckling pig at any time of year but must give 48hrs notice…tempted? You should be. Come dessert time, I always say I don’t need to end with sweet (considering how much I have eaten previously) but I have to say Rendezvous’ twist on a lemon meringue pie (£6.50) made with sponge cake instead of pastry is a delicious way to end a meal. The chocolate fondant (£7.95) and crème brulee (£6.50) are diners’ favourites but make sure to ask what the crème brulee flavour is going to be as this is subject to change. From humble beginnings as waiting staff at Biancas, Daniel and his wife Marianna, then moved to The Tunnel, Gauchos and then Pusser’s Landing at Ocean Village, running restaurants for the late Andre De Barr. Finally, they took the plunge and bought their own restaurant, Ipanema in Ocean Village, which they ran for five successful years (who doesn’t remember metre-long metal skewers with joints of meat carved at directly at your table?!) Eventually they sold this and opened Le Bateau in Queensway Quay. After four years Daniel and Marianna felt they needed to improve their product and transformed Le Bateau into Rendezvous Chargrill. Sumptuous dishes, a good selection of wines and Bertha! 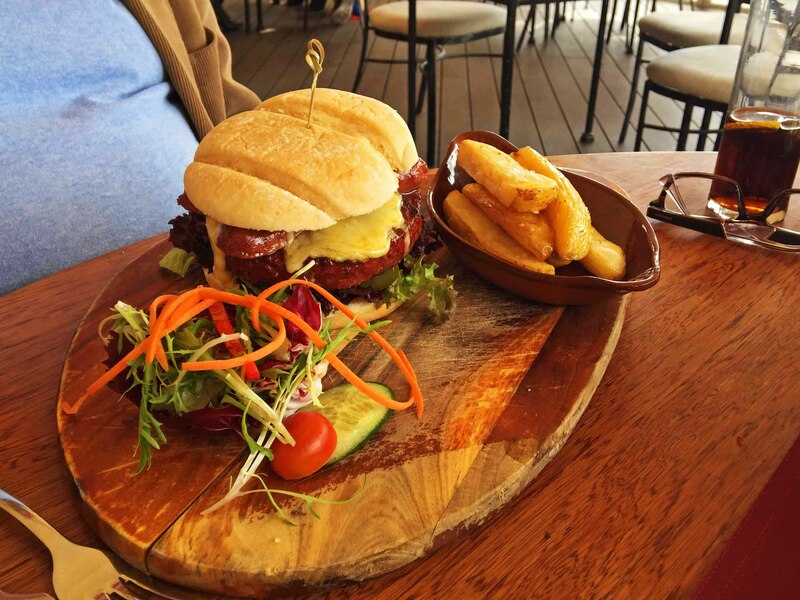 If you haven’t been to Rendezvous Chargrill before please give it a try – pop in for a leisurely lunch in the sun, enjoy a great dinner watching the sun set or sign yourself up for one of their special evenings. Treat yourself! A couple of months back, a friend and her family relocated to Gibraltar from abroad and kept asking me where I thought was a good breakfast/brunch place for them to go on a Saturday morning. After having suggested several places for the family to try, she came across My Wines on the Chatham Counterguard Strip which had recently started serving breakfast. 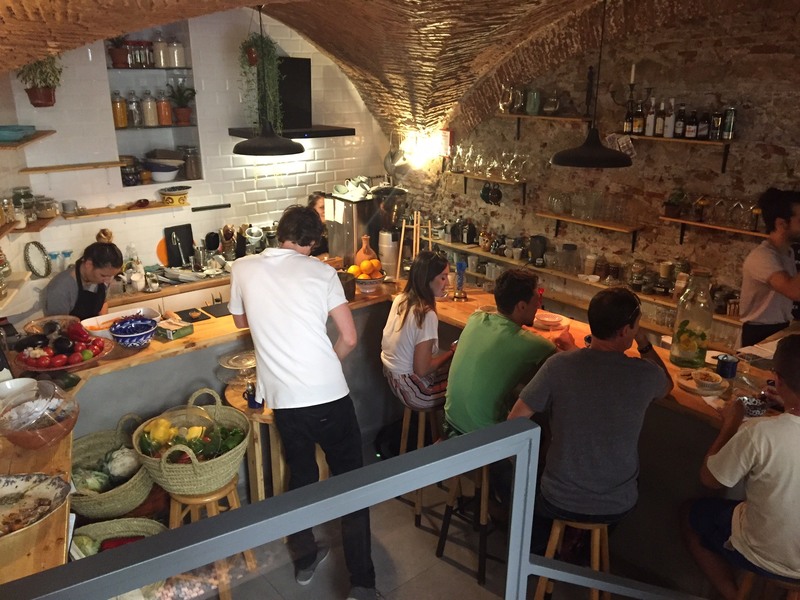 On her recommendation, I went along one Saturday morning and was encouraged by the huge menu that My Wines have created considering their humble beginnings – buy a bottle of wine and drink it on the premises! 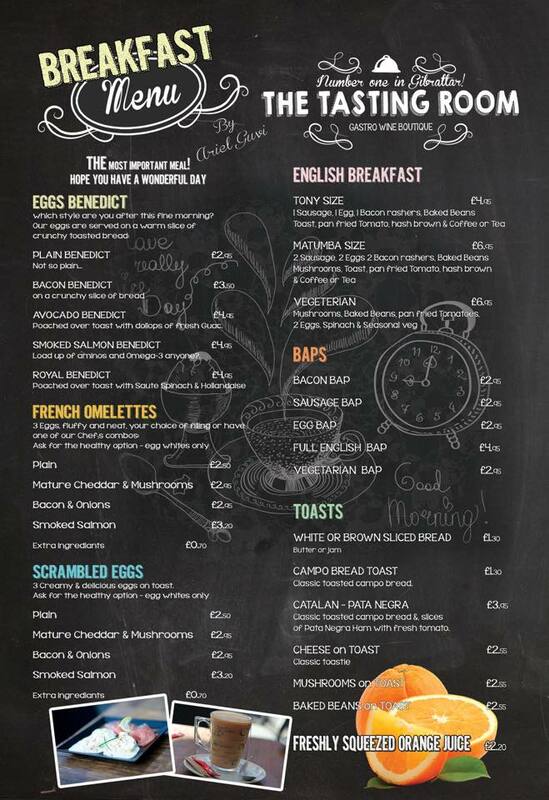 The breakfast menu (a full page within their menu) broken up into sections: Eggs Benedict (optional toppings such as avocados and bacon) various French Omelettes, various scrambled egg dishes, English breakfasts and toasts and baps. 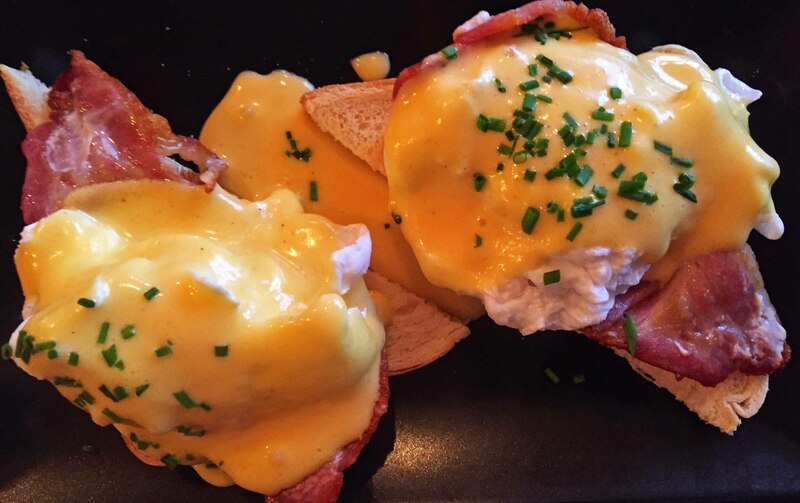 The first time I had breakfast at My Wines, I ordered the smoked salmon and scrambled eggs on toast and my fellow diner ordered eggs benedict. Sadly, we were both disappointed. The dishes were tasty, however, their execution needed improving – the scrambled eggs were a visual mess and the eggs benedict ham-less. Two weeks ago, Chef Ariel Guivi joined the breakfast team and is doing for My Wines what he did for the Hendrix. The breakfast menu has since been streamlined and what is done, is now done well. The smoked salmon and scrambled eggs arrive as a stack of creamy pushed eggs with a few smoked salmon slices sat delicately on top. Choice of toast to go with. The eggs benedict was remarkably better this time round but I really would like to see them served on an English muffin instead of on a slice of bread. Having spoken to Chef Ariel about this, I understand that there is difficulty in regularly sourcing these here in Gibraltar and baking English muffins from scratch would require time and space to create and prove the dough before baking them into muffins. Playing to the meme, “coffee keeps me going until it’s acceptable to drink wine!” My Wines have capitalised on a gap in the market to serve substantial breakfasts, such as: eggs benedict, omelettes, cooked breakfasts and toasts, as from 7:30am Monday to Friday and as from 8am on Saturday. Their prices are very decent; we actually asked the waitress if she had left something off the bill as it was cheaper than expected! We know that My Wines have a great evening repertoire – why not eat the most important meal of the day here too – give breakfast at My Wines a go, you won’t regret it.